Wander down the Darlinghurst end of Crown and you’ll find a store that takes its cues from glam 1950s silhouettes smashed together with kitsch '80s fashion. 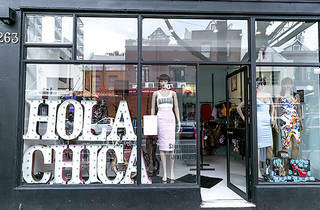 Owner Katie Guilbert first created the Hola Chica label in the UK, before bringing it and herself to Australia (via Vancouver) in 2011. The 28-year-old designer sells her figure-hugging pencil skirts, wiggle dresses and halternecks on Etsy, and now she’s brought together her own clothing line with items from her favourite independent streetwear labels in her first bricks-and-mortar shop. 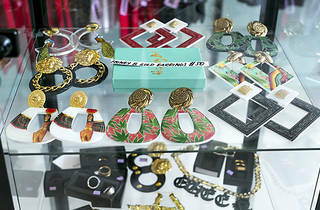 “My brand is about 50 per cent of the store,” says Guilbert. “Being in Canada there was so much diversity in retail and I wanted the brand to fill a few gaps in the market here in Sydney,” she explains. A fashion graduate, Guilbert undertook work experience at Josh Goot when she first came to Australia, but the rockabilly look was more her bag. “I like everything to be flattering on the curves, and lots of room for bust and butts,” smiles Guilbert. Those styles include retro cuts like capri pants and babydoll tops made with stretch cotton sateen in daring leopard print, tropical florals and blush pinks, mangoes and Hollywood whites. All of Hola Chica’s clothing is manufactured in Sydney, and dresses will set you back between $150-$200. Guilbert also champions local creators and makers. 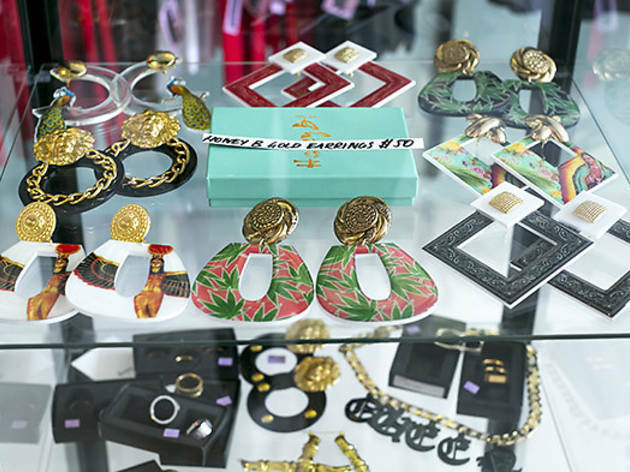 She tells us she opened up part of the store to the queen of nail art, Lauren La Rouge, during Mardi Gras, and says she is a big fan of Sydney jewellery maker Frida Las Vegas, who creates Pop Art-inspired accessories from perspex. They’re big, bold and brashy – a look that fits the fierce attitude of Hola Chica. “Her earrings fly off the shelves,” says Guilbert. 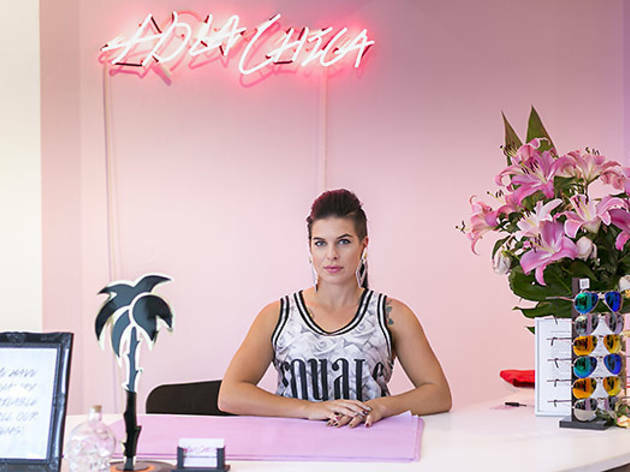 “We’re both aligned with the trashy ’80s and retro ’50s styles.” Like Hola Chica's clothing, Frida Las Vegas’s designs are also made in Australia using locally sourced materials. For now, Guilbert is building her brand from the ground level up, but there’s room for one-off collaborations and reinventions of the store’s first-level space. “I’d love to have a lingerie boutique up there, stocking retro brands that you don’t find too often in Australia, like Kiss Me Deadly, and modern Aussie brands like Hopeless Lingerie,” she says. Good news. Lovers of burlesque undies and vintage-inspired swimwear, watch this space.